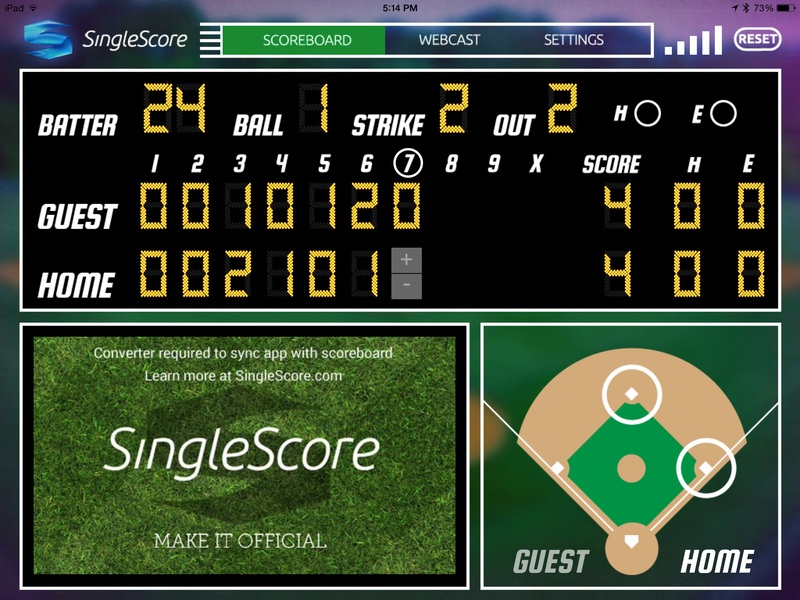 Use the One-Touch area to quickly tally runs and pitch counts, or assign errors. Tap on the reversible guest and home to score the game more accurately. Swipe left-to-right on the balls and strikes to clear or across balls-strikes and outs to clear the inning. Edit an inning without having to resest the entire game. Set the game clock with ease. *Linescore model shown, features vary by scoreboard.